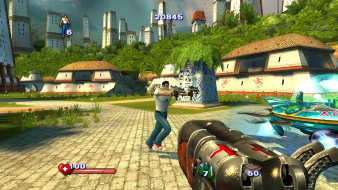 Serious Sam II (or Serious Sam 2) is a science fiction first-person shooter video game released for the PC and Xbox and the sequel to the 2001 computer game Serious Sam. 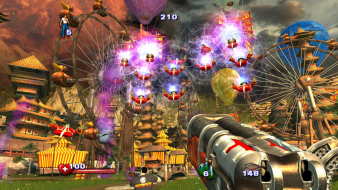 It was designed and developed by Croteam and was released on October 11, 2005. Encounter, Sam travels through various different worlds collecting parts of a medallion in an effort to defeat Mental. He is guided by the Sirian Great Council and receives sporadic aid from the natives of the worlds he visits. 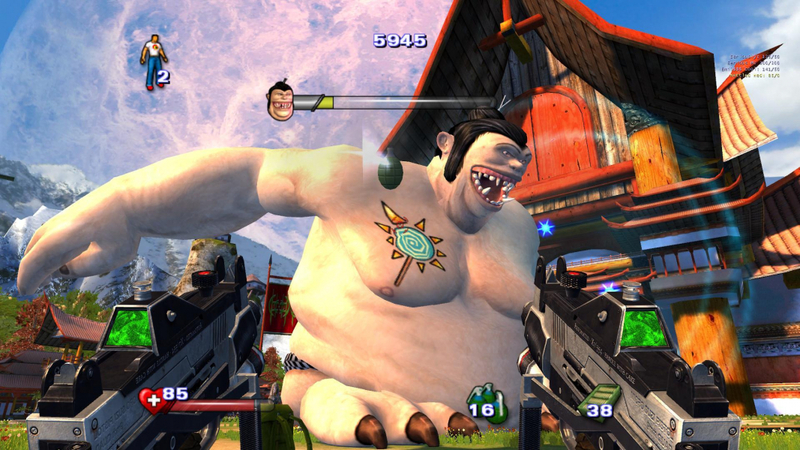 The multiplayer mode includes online co-op and deathmatch, the latter having been introduced in a patch. Serious Sam II's gameplay consists almost entirely of the player attempting to defeat dozens of enemies at a time, and thus is relatively simple. More complicated gameplay mechanics that are often found in other games, such as jumping puzzles, are rare, and when encountered they are fairly simple, usually requiring the player to locate objects in order to unlock doors or advance to the next level. 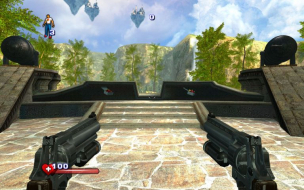 European 2.070 version of the game has native widescreen support by checking the "Widescreen" setting in the options menu, after you've selected your resolution. 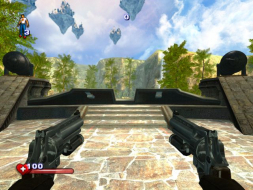 The maximum FOV value is 135, which is more than enough for widescreen, but not quite enough for triple 4:3 monitors. After editing, , mark the file Sam2.ini as READ-ONLY, only then start the game and it should work perfectly with the new settings.